Orange Scented Geranium - Beautiful variety with citrus- orange scented leaves. 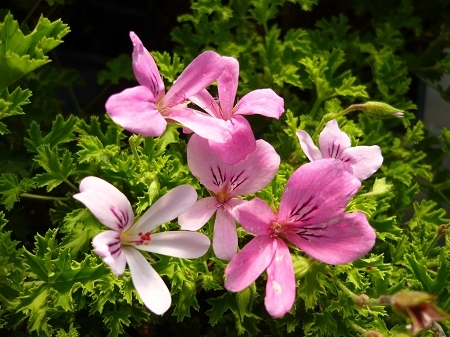 Showy Light pink flowers when in bloom, compact growth habit makes excellent container plant. Can easily be grown indoors with plenty of light. Perennial zones 10-11+ Live starter plant in 3 inch container. I just got my Orange Scented Geranium and I cannot wait for it to bloom! It arrived healthy, smelling lovely and ready to grow, as all the Colonial Creek plants I have gotten are. Best plants, good value, thank you!